If you have to stay mobile for your business it makes sense to have a company vehicle to rely on. No matter the vehicle you end up choosing, you will need to answer an important question: do I want to purchase it or lease it? Before we get too much into answering that, it’s important to note that you will need to be able to prove the car is used for business purposes and not for personal use. With that said, let’s break down the pros and cons of buying versus leasing a vehicle for your business. First and foremost, you need to consider your current financial state and how large of a loan you are willing to get to be able to lease or purchase a vehicle. If your income is relatively low, but consistently stable, leasing might be the best option for the short term. In addition, leasing might also be the best option if you only plan to use the vehicle for a short period of time like two years or less. Regardless of your choice of car, van, or truck, purchasing or leasing any vehicle for business use has associated deductibles. When it comes to deductibles in Canada the maximum lease payment you can deduct is $800 per month or $9600 annually. On the flipside, the limit for deductibility for a purchased vehicle is $30,000. It is important to note that this amount cannot be deducted in its entirety but must be depreciated at 30% (on a declining balance basis). Furthermore, you are only allowed to deduct 50% of the depreciation (known as the half year rule) in the year of purchase. This equates to a $4,500 deduction in year 1. In year 2, the depreciation expense is 30% of the undepreciated balance ($30,000 less $4,500 = $25,500), which would be $7,650. You are also allowed to deduct any interest paid on financing the vehicle. The interest rate can usually be found in the financing contract and calculated over the period of the financing. The maximum amount of interest that can be deducted is $300. Clearly leasing has much higher deductibles, but with that comes the associated pros and cons of leasing in the first place. Another important factor to consider is how much wear and tear the vehicle will be getting. If you are using the car for urban site visits or to get to meetings, leasing might be the best choice since the amount of wear and tear will likely be minimal. However, if the vehicle is going to be used to haul materials or work tools, buying the vehicle may be the best option to avoid any fees associated with potential damages that might arise. If you anticipate wear and tear occurring, but don’t have enough funds to be able to purchase a car, then another option is to purchase insurance that could cover those potential costs. Depreciation is another aspect to take into account. Unfortunately, all vehicles depreciate as time progresses, and factoring that into your decision will help you make a better choice. For example, if you plan on purchasing the vehicle at the end of the lease, how much the car has depreciated will directly influence the cost of purchasing it at that time. To note, depreciation on purchasing a vehicle with the intent to sell it later on will factor into the price you are able to reasonably sell it at. If you plan to keep the vehicle until it becomes too costly to maintain then this will likely be less of a factor. With leasing, some additional elements to consider are additional modifications to the vehicle and how much driving you will be doing in it. If you plan to make modifications, then leasing isn’t for you since modifying a leased vehicle is generally not permitted since you don’t actually own the car. 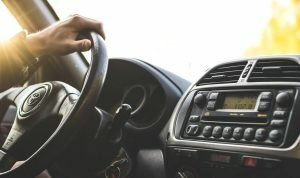 If you plan to do a lot of driving, keep in mind that leases typically have mileage limits and going over those can mean additional charges to you. What it ultimately comes down to is your personal situation. Leasing is generally a good short-term choice when it comes to deductibles, and buying is generally a good long-term choice if you plan on large amounts of mileage, but that doesn’t mean either of those statements hold true for you in your current situation. Talking it over with your Kelowna accountant or financial advisor is a good idea to help decide on the best option to suit your needs.